More about Fazer Marianne Toffee Mint Candy Bag - 7-3/4 oz Marianne candies are a classic Fazer favorite. 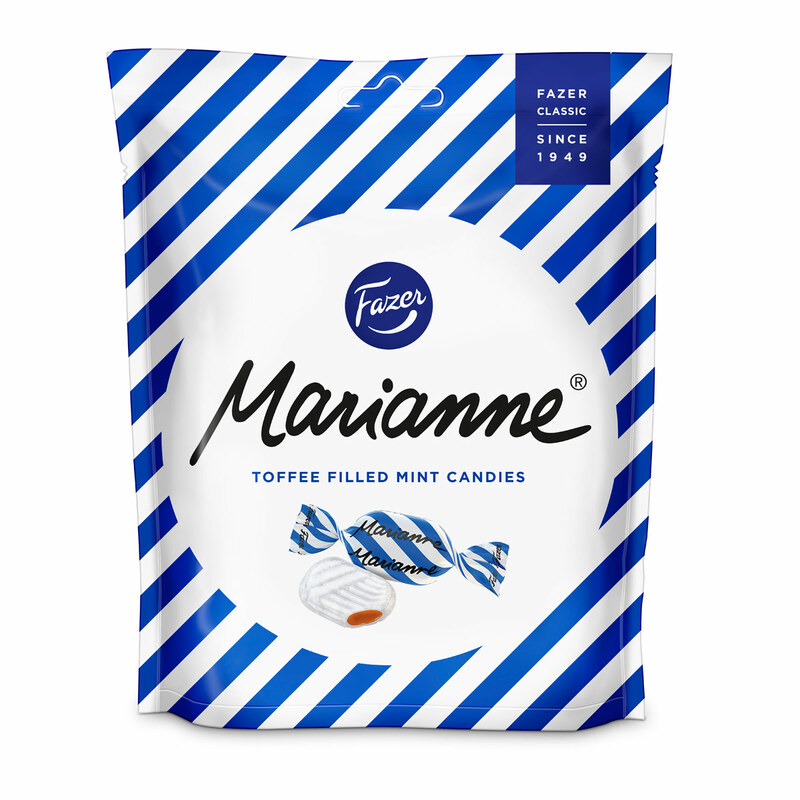 The Fazer Marianne Toffee Filled Mint candies have an elegant hard peppermint shell that melts in your mouth to reveal a velvety toffee filling. The subltly sweet toffee filling with the refreshingly crisp mint will satisfy your candy cravings all year. Wrapped in charming blue and white striped paper, the Marianne mints are lovely on display. Pour them into a Maribowl and share the delectable confections.Ingredients: sugar, glucose syrup, vegetable oil (palm, shea), skimmed milk powder, molasses, acidity regulator )sodium citrate), butter, emulsifiers (sunflower lecithin, mono and diglycerides of fatty acids), salt, natural flavor (peppermint oil), artificial flavor. Contains: milk. Manufactured on equipment that processes tree nuts, wheat. 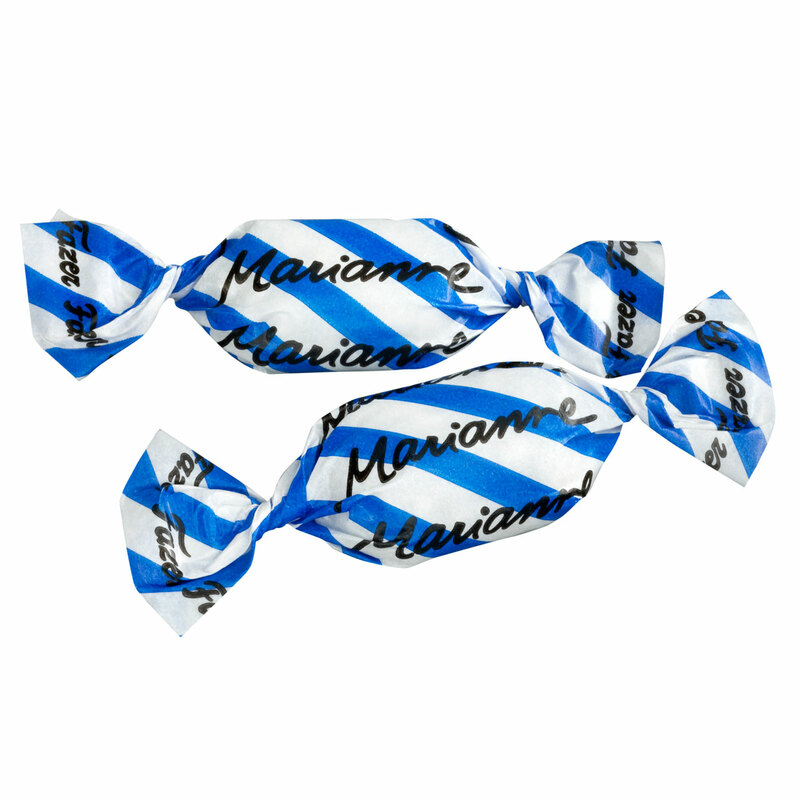 I admit that the Fazer Marianne peppermint/chocolate candies are my favorite combination, but these are really good as well! The wrapper is so pretty, so they always look nice when set out in a glass candy bowl. I don't think I've ever seen the peppermint/toffee combination in any other candy. Yummy and pretty, too! The wonderful Marianne striped aesthetic compliments this good ol' mint candy. Soft and chewy toffee center protected with a fresh and hard peppermint shell, absolute treat, the flavors are perfect together. If you like the original, you're sure to love this version. A favorite here - the flavor combination is wonderful. The toffee at the end is so good. Definitely recommend trying this out - will absolutely order more! Finnish candy is the best! I've bought other candies from FinnStyle and happy with their quick process and products. A delicious combination of mint with a Toffee surprise inside. 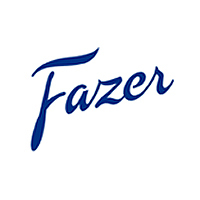 Is this the same Fazer Marianne candies that come in red and white wrappers and bag? This is a different flavor - it is toffee filling instead of the chocolate, but has the same mint shell.